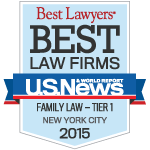 Robert Z. Dobrish, the senior partner in the firm, is known as one of the premier matrimonial attorneys in New York. He is a graduate of Columbia College and New York University School of Law, where he was a John Norton Pomeroy Scholar. Following law school he worked in corporate law, became a staff attorney for the Vera Institute of Justice, and then worked as a criminal defense attorney before concentrating on family law-related matters in 1977. Since that time he has become one of the foremost family lawyers in the State. Mr. Dobrish has taught at Cardozo Law School, lectured extensively before diverse groups (lawyers, judges, accountants, mental-health professionals and the general public) and has written numerous articles and book reviews for professional journals, some of which are referenced on this website. 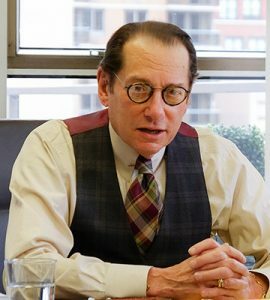 He has been active in bar associations having served as chair of the Committee on Matrimonial law of the New York County Lawyers Association and as a member of the Executive Committee of the Family Law Section of the New York State Bar Association for over three decades. He has served on the Matrimonial Law Committee of the Association of the Bar of the City of New York on three separate occasions, each for three year terms and he has been a member of the Judiciary Committee of that Association as well. He is a Fellow of the American Academy of Matrimonial Lawyers, has served on two occasions as Vice President of the New York Chapter, and is a long time member of the Chapter’s Board of Managers. He was the founder and moderator of the Academy’s Judicial Roundtable for many years and is one of the founding members of the Interdisciplinary Forum on Family Law and Mental Health. He has been rated “AV” – the highest rating attainable by Martindale Hubbell – for over 40 years. 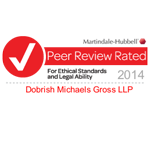 U.S. News and World Report has rated his firm in the topmost tier. 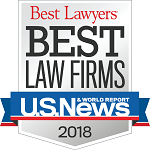 Since its first listing in 1995, when only seven lawyers were included, he was named by New York Magazine as one of the Best Family Lawyers in New York and he has been consistently listed there since then. Woodward White named him as one of the Best Lawyers in America over 25 years ago and he has remained there. He has been included in the listing of Super Lawyers since its inception. Mr. Dobrish has represented husbands, wives, children, parents, grandparents, relatives – the entire gamut of persons involved in intra-familial disputes. He has been specially admitted in Connecticut to handle several complex cases in that State. He has tried numerous cases in both the Supreme and Family Courts in New York and has argued dozens of appeals, some of which raised novel and/or important issues relating to family law. S.L. 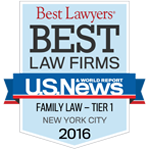 v. J.R.: A Clarion Call for Clarity in Custody Cases, Family Law Review, Fall 2016. Copyright © 2019 Dobrish Michaels Gross LLP. All Rights Reserved.